The Croatian pianist Javor is the first prizewinner of international piano competitions in Italy, Belgium and Croatia. He was invited to perform at conferences of the European Piano Teachers’ Association in Norway and Hungary, and various other festivals in Germany, Austria, USA, Russia and China. In New York City, Javor frequently performed at Weill Recital Hall at Carnegie Hall, the Metropolitan Museum of Art, the New York Historical Society, and gave recitals at Steinway Hall, Austrian Cultural Forum, and various other venues. His performance was broadcast on WQXR in the McGraw Hill Young Artists Showcase. In 2011 Labor Records released his CD album Tribute to Haydn. 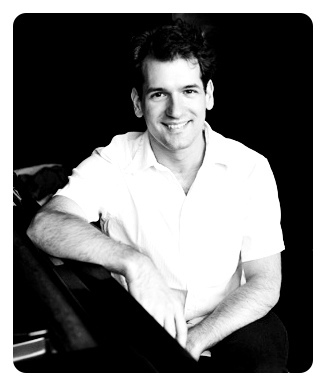 As a member of New York Concert Artists, he performed at the Evenings of Piano Concerti, and is scheduled to give his solo recital debut at Weill Hall in October 2013. Javor was chosen by his students for the Best Teacher Award at the MERIT program of the Music Academy of the West in Santa Barbara. He has given a series of concerts at hospitals and nursing homes in Austria through the humanitarian organization Yehudi Menuhin’s Live Music Now. During his stay at the International House New York, he has given a series of lecture-recitals aimed at promoting the interest and appreciation of classical music among young people. Javor was born in 1985 in Zagreb, Croatia. He earned his Bachelor’s and Master’s de-grees at the University of Mozarteum in Salzburg, in the class of Karl-Heinz Kämmerling. He received another Master’s Degree and a Professional Studies Diploma at Mannes College of Music in New York, studying with Pavlina Dokovska. This fall he was awarded the prestigious Graduate Center Fellowship to pursue a Doctorate of Musical Arts at the City University of New York as a student of Ursula Oppens and Richard Goode. Not all students are the same and a good teacher should develop a personalized approach to each and every one. There are certain core values that I strongly believe in, such as learning through playing, improvising, exploring and discovering the wonder in the music itself. Once the fascination is kindled, learning happens almost by itself. I am not a friend of scales and technical exercises. Technique is always just a means for expressing inner thoughts and feelings in the most efficient way. The most important thing a student should take from a school is the love, understanding and enjoyment of music on a deeper level. I enjoy sharing my passion for music and helping students reach their goals. I love being surprised by what the students themselves bring to music with their own talents and personalities. The most rewarding moment for me is when a student reaches a breakthrough and suddenly manages to do something they were not able to do before. And the more difficult the task, the greater the reward.